VW Don T. Ramas-Uypitching, a Master Mason from Mt. Kaladias Masonic Lodge No. 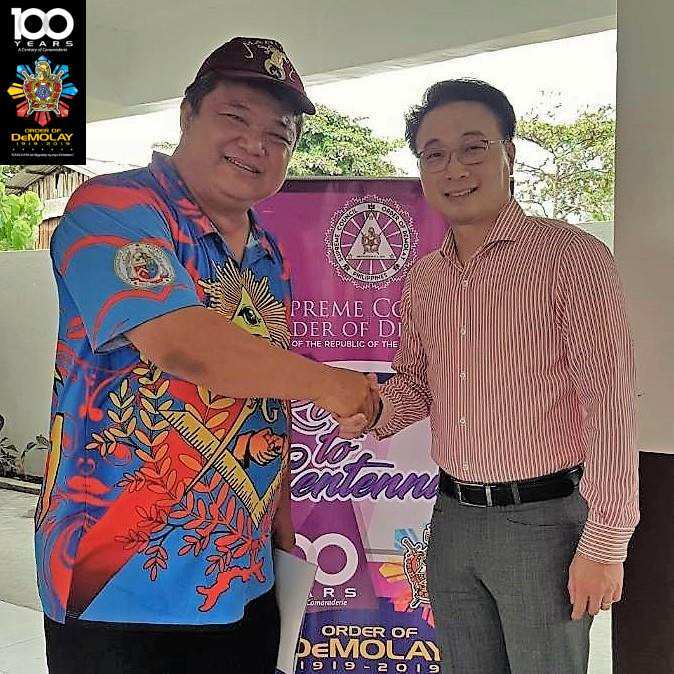 91 in Dumaguete City, is the one of the most recent supporters of the Order of DeMolay in the Philippines after becoming a select member of the Grand Master Centennial Knights under the DeMolay Crusades. Grand Master Edison Abella of the Supreme Council, Order of DeMolay personally met and thanked VW Don Ramas-Uypitching for his selfless generosity and personal contribution during the 25th Western Mindanao Masonic Multi-District Convention that was held on September 21-22, 2018 in Pagadian City. VW Ramas-Uypitching is the owner of RUSI, a nationwide distributor of RAM motorcycles, with its main office in Dumaguete City and major showrooms and sales outlets in Mindoro, Romblon, Palawan, Negros Island, Panay, Siquijor, Bohol, Cebu, Leyte, and Samar Islands. The DeMolay Centennial Crusades are once-in-a-lifetime special membership categories offered for a limited period of time to Master Masons, Senior and Active DeMolays, including some select private individuals, organizations and/or corporations, who champion the worthy cause of leadership development and character building among the youth and are willing become active partners with the Order of DeMolay in the Philippines and make an investment to their future. The net proceeds from the DeMolay Centennial Crusades shall directly go to the setting up and establishment of the first-ever Philippine DeMolay Trust Fund that aims to promote and sustain the growth of its members and expansion of its DeMolay Chapters into the next 100 years.